Penn State students are helping to revitalize Pittsburgh's North Side, including the Mexican War Streets. UNIVERSITY PARK — Penn State students are collaborating with students from Carnegie Mellon University and Chatham University to map trails that will connect community assets in 18 neighborhoods on Pittsburgh's North Side. 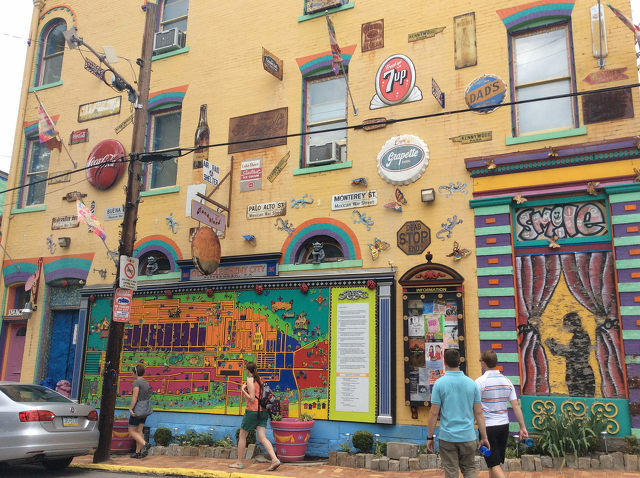 The Penn State Center: Engaging Pittsburgh received a $25,000 grant from The Buhl Foundation for two Penn State summer interns to participate in the One Northside Asset Inventory Mapping project. They are working with nine other students from CMU and Chatham to map out a potential trail system that will connect community assets and historic locations in Allegheny Center, Allegheny West, Brighton Heights, California-Kirkbride, Central Northside, Chateau, East Allegheny, Fineview, Manchester, Marshall-Shadeland, North Shore, Northview Heights, Perry North, Perry South, Spring Garden, Spring Hill-City View, Summer Hill and Troy Hill. One Northside AIM is being managed by GTECH Strategies — a nonprofit dedicated to improving the social, economic and environmental health of communities — and will be completed in three phases through Friday, Aug. 21: research, community survey and data analysis. Jeffrey Holzer, a fifth-year senior in landscape architecture at Penn State, said he will then use the data this fall in a design studio course to further develop themes for the trails. For more information about the project, visit One Northside AIM or The Penn State Center: Engaging Pittsburgh online.